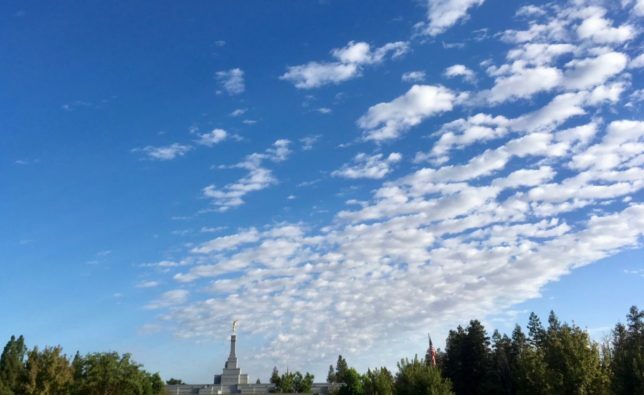 Awe-inspiring skies over the Temple at my neighborhood Church of Jesus Christ of Latter-Day Saints. Years ago, soon after departing fulltime church work and its weekly sermonizing, meetings-in-the-evening, annual-reports-to-the-denomination obligations, I avoided getting hauled into the net of Mormonism. However, I like that the word “miracle” is from the Latin, miraculum. A wonder, a marvel.